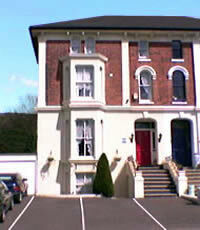 Dover Bed and Breakfast in Dover - Maison Dieu Bed and Breakfast in Dover, UK: Guest House Accommodation - Guest House Accommodation and Lodgings Dover, England, UK. Open all year, our Town Centre (non smoking) Bed & Breakfast Guest House has forecourt parking & is minutes from Dover Castle, White Cliffs, Museum, Roman Painted House, Ferry/Cruise Terminals & Bus/Train Stations & local restaurants. 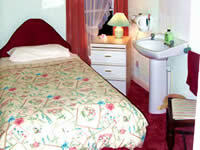 Ideally located with warm English hospitality, comfort & convenience - Standard & Ensuite to suit your requirements. 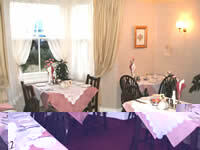 Town Centre location - near to Dover Castle, White Cliffs of Dover, local shops and amenities, Ferry and Cruise Terminals. 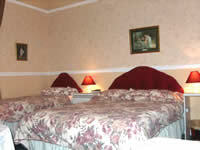 Sightseeing, golf, water sports, walking + hiking, bycycle riding, horse riding, swimming.